In this episode of Steve’s Favourite Things he reviews the Energizer Energi to Go XP1000 and XP2000. 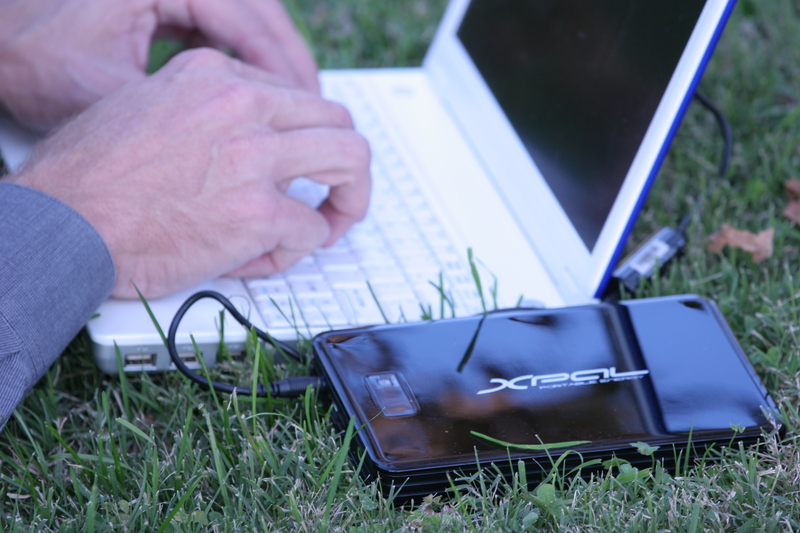 The XP1000 Portable Charger is the best Emergency Charger for most mobile phones and more. The ultra slim size makes it convenient to carry, yet it packs long lasting, reliable power. Will work with all iPhone models, including the new iPhone 4. It also includes 4 Mobile Phone Tips: Apple (iPhone/Nano) , Mini (Blackberry + More), Micro USB (Blackberry + More), Nokia 2.5 (MB02, CB31, CB04, CB06). The XP2000 Portable Charger will recharge and power most smart phones (Blackberry, HTC, iPhone plus more) with a full charge and more – and mobile phones up to 3 full charges! Great for music or game players too! 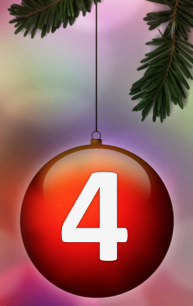 It’s the 5th Day of Christmas and Steve has brought to you…..
It’s the 4th Day of Christmas and Steve has brought to you….. Charge ahead and don’t miss the ending! Have you noticed how the last 10% of your iPad battery runs down really quickly? I was caught out last night at a really gripping point in my book, and with no charger on hand, despite willing the battery to hold out until I finished – it was lights out! If only I’d had one of these super chargers, I would know what happened at the end! 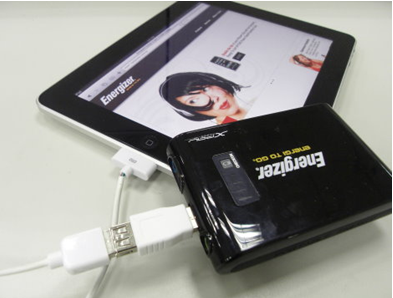 The Energizer® Energi to Go® XP4001 is one of the best portable battery chargers for your iPad and includes the USB tip PC007. The PC007 connects to the charging cable that comes with your iPad and allows you to continue using your iPad while it charges! I don’t know about you, but I give my iPad a good work out daily. I read emails, play games, check my shares, do my banking and search the net. The battery lasts through most of that, but towards the end of the day, I’m lucky to make it through. It has two USB ports, which means you can charge more than one device at a time, using one of the 6 tips that come with it. It isn’t just a boost for your iPad! It also charges Apple (iPhone/Nano), Samsung, LG, Mini and Micro USB (Blackberry + More), Nokia 2.5 (MB02, CB31, CB04, CB06, CB18, CB19). So when I travel, my iPhone and iPad have back up, just in case I get caught short. 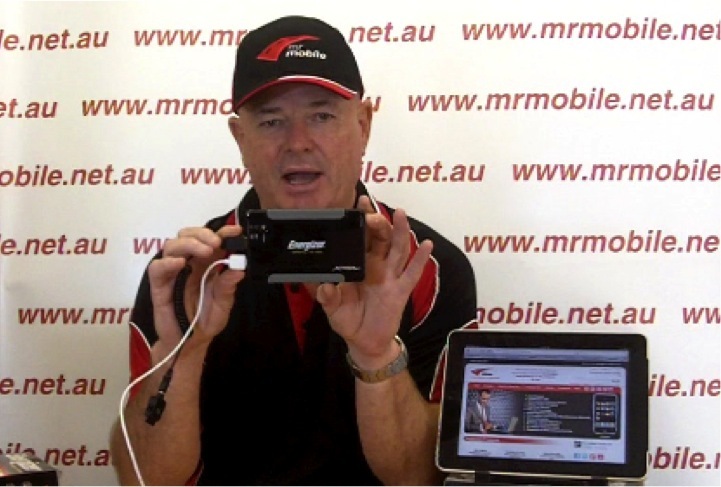 The XP4001 is great to boost battery life whilst viewing photos or watching a movie on your iPad. The battery pack recharges using an AC adaptor and charges itself up in less than 4 hours. – the battery pack kit with battery pack, connection cables, AC adaptor and 6 connection tips. Order your Energizer® Energi to Go® XP4001 today so you never miss the end of a book! Working, Camping, Sailing, Gaming? 7 Reasons Why You Need a Travel Charger Kit! Have you ever been travelling and left your charger at home, or worse, in a hotel room? This handy little travel kit (Energizer® Energi to Go® XP2000K) will make sure that you always have power at your disposal. You don’t even need an outlet! It packs a punch on boosting battery life, charging Smart phones to full charge and other phones up to 3 times! Imagine when your commuting and you run out of power. Rather than being stuck with no email, games or music, pull out this little unit and your good to go! It can be used for more than one type of phone – so the whole family can stay juiced up! You don’t need one each – you can share the power on long trips with connection tips for iPhones, Blackberry, HTC and more! It’s not just about phones you know? The kit can be used to charge games and MP3 players too – now you can finish that last level and listen to tunes while you do! It is very portable and takes up little room when travelling. The small size makes it easy to store and carry. Its dimensions are 83.82 (L) x 58.42 x 12.7 (H) mm and it weighs just 70 grams. More space in the suitcase or the car and can even sit neatly in your handbag! This unit can be recharged both with an AC adaptor at home or in the hotel and also comes with cigarette car adaptor for when you are camping or on the road. The fast recharge of 4 hours means that you don’t have to wait overnight to be able to use the kit. And last but not least, this little package comes in a weatherproof travel bag. So it’s great for camping or sailing too! 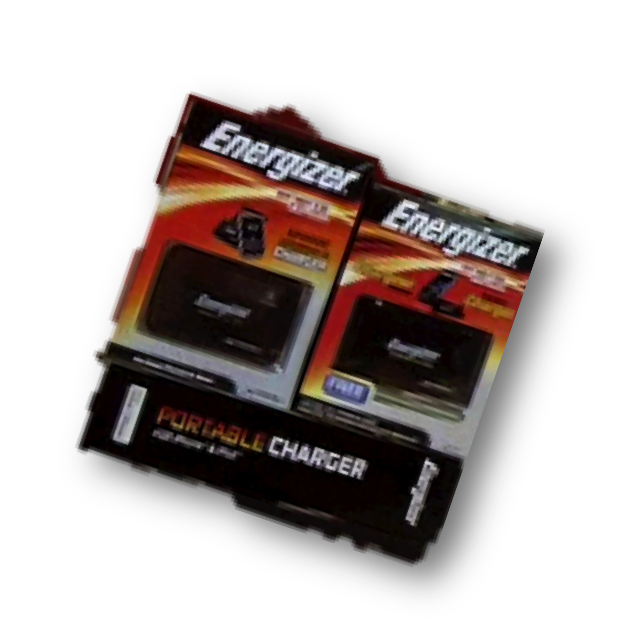 The Energizer® Energi to Go® XP2000K is $89.95 and is available for shipping today! Order now before you head off on your next trip. Make sure you don’t get caught powerless!